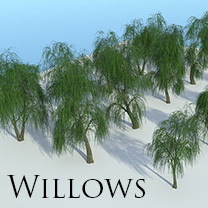 A set of 15 mid poly willow trees in different size and shape. 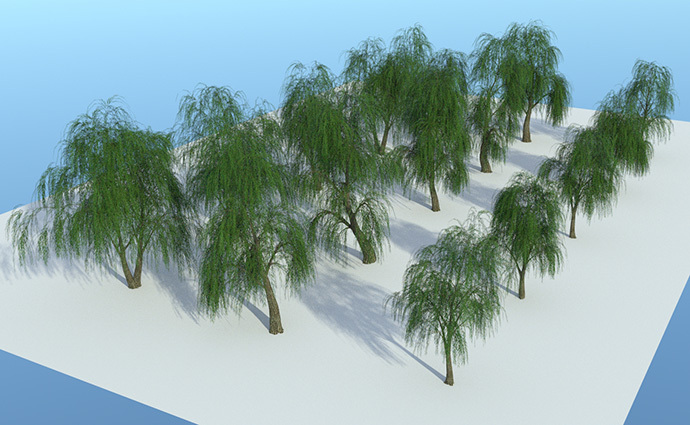 SketchUp file and Thea render models. The SketchUp file also has Thea materials applied.